Ideal for large and small areas. Broadstairs Bird Control Services - Pigeon Net Installations. Broadstairs Bird Control Services install pigeon netting for all types of buildings and roofs. Netting is one of our most popular products that we install as an effective deterrent against pigeons to stop them nesting. 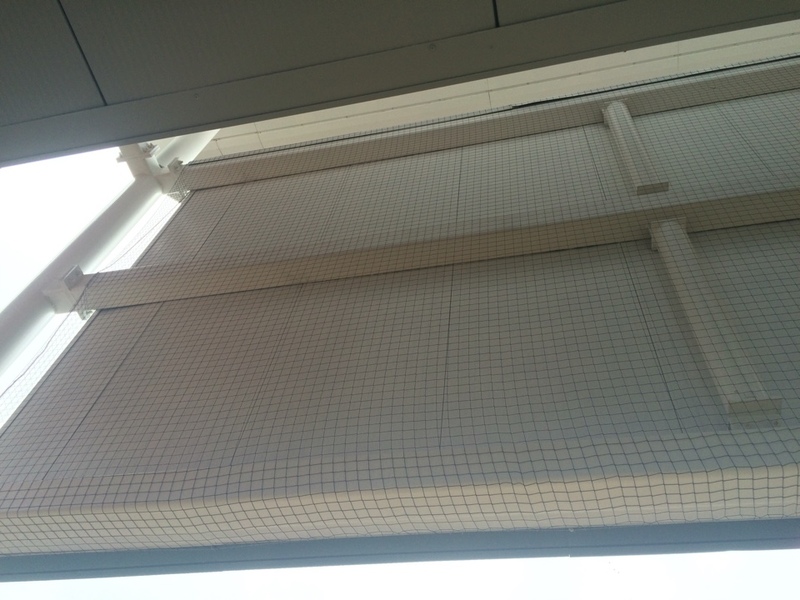 We can install nets on any building covering a large expanse or to protect statues, building fronts, underground car parks, shopping malls and just about anywhere that requires a flexible and robust approach for bird control in Broadstairs. Pigeon netting comes in a range of colours – Black, stone and translucent to fit with the aesthetics of the building. Netting is also fire retardant, U.V and rot resistant. Due to its ‘knotless’ design there is a minimal risk of a build up of debris. We can also fit net zips or clips should access be needed to lighting, fire sprinklers or where access is required to boiler rooms and roof areas. If you have a problem with gulls with can also fit seagull netting to protect your premises. Bird nets can be fixed to masonry, wood and metal using a range of bolts and fixing. We fit into place using a wire system, that is then placed under tension and fixed into place with specially design rings or removable clips to allow for access. If you require more than a ‘standard’ installation we can design bespoke net systems to protect roofs, air con units, statues, heritage sites and protected buildings. Installing pigeon nets in Broadstairs. Call us today to book a FREE site visit and quotation. We will discuss the best solution to your bird control problem in Broadstairs. Pigeon netting can be installed in addition to other deterrents such as anti-perching spikes, the Avishock electric bird deterrent system and any other control methods. NOTE: Depending on site condition, it may be advisable to have the affected area professionally cleaned and sanitised by us if there is a build up of bird waste. This will eradicate any health and safety implications.